For those people who feel the urge and need to fast I can recommend the fruit-juice fast which is the most popular and the least dangerous of all. I discussed in my previous posts about the dangers of fasting on your own, consultation is a must before you start your own. In fruit-juice fast the person drinks large amounts of water and a moderate amount of fruit juice. When I say fruit juice I mean the natural juice extracted from fruits not the diluted ones. 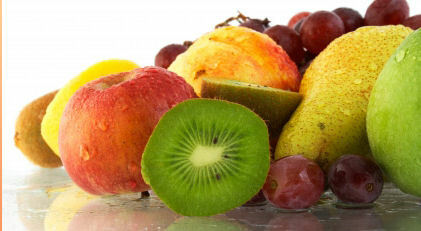 Some fasters mix water with fruit juice. Some eat nothing but fruits and vegetables to be a fast, but a real fast involves eating no solid at all. Actually I’ve seen my MIL do a similar kind of fast but she chose to eat all fruits only which I noticed did lots of good on her body not to slim down but to help push bad toxins away. Just a reminder to all never ever fast without drinking lots of water! Remember what the science teachers taught us in our good school days, your body can do without food for a day or two but it can never survive without water for an entire day. This is the reason that some earthquake victims lasted for few days without food but survived only on intake of rainfall. Fasting can cause fatigue, irritability, anemia, weakness and other disorders so be very careful with your fasting. Use your old common sense that if you start feeling ill knock it off and have something to eat just be sure it’s light like some fruit to get something for your digestion slowly and lightly. Now before you start your fasting is sure that you’re not under stress and under tight working schedule or you might faint! I should think this over also for myself, seems like I’ve never done this for years now!